Week 11 – The Future, again – Can we still call say “Media” or Communications” and mean what we used to mean? Have you ever dreamed of what how the world will be shaped in the following 5-10 years? As a media student, the biggest concern of mine about the future will probably be the future of media development. Apparently, the nature of media technologies, media atmosphere, as well as the media ecologies have all transformed quite alot over the past decade. Convergence has been enhanced with the introduction of smart phone (especially iphone or phone using the Google’s Android system) and the digitial network. The rise of social media has also allowed us to form online communities, or even enabled us to participate in political issues. Recently, I have read an online article called “Does The Media Have a Future?” and I found it inspiring to me. author believes that, the way of how we consume media will become complicated, since the older notion of ‘the media’ was in part sustained by the practical convergence of habits of media consumption. People’s trajectories across the media landscape will become so varied that neither audiences nor industry can assume a pattern any more. Hence, In the future, it will be tough task for media and advertising agencies to target their audiences. However, the author believes that some of the traditional media industry like television will not died. According to some recent researches done in US and UK, there are more people using TV to multitask while online, than the other way round. So, in the future television may still remain the primary medium for most people, even if television content is for some audience sectors more often delivered via computers than television sets. 10 years ago, I always dreamed of owning a cool tablet device like the one in the big hit science fiction movie Minority Report. Now, the launch of ipod 2 years ago has told me that my dream has come true. A decade ago, when all people were communicating online with ICQ, no one could foresee that a website called Facebook will help us to connect with each other and become an essential part of our lives. 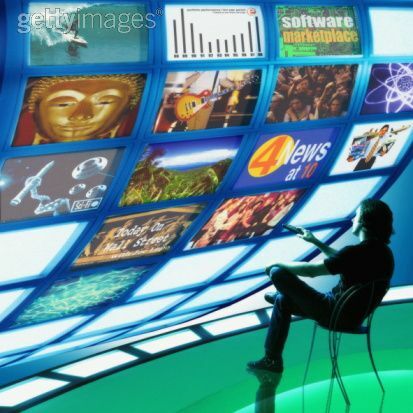 Media technology is evolving so rapidly hence we could hardly predict how the world will be in 5-10 years. So, we’d better not to judge anything in advance. We should just wait and see. Last, I am attaching a nice video that talks about how digital technology is dissolving media silos and how will the future of media impact consumers, brands and the marketing industry. Hope you enjoy it! Posted on May 18, 2011, in Uncategorized. Bookmark the permalink. Leave a comment.